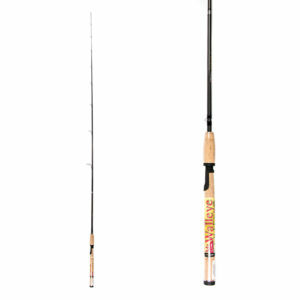 This rod features a fast tip action. 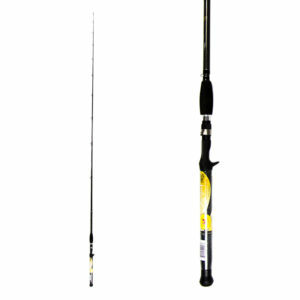 This is a great rod for fishing in windy conditions when you need a super sensitive tip. Sensitivity is the key to feeling light bites in such conditions. This rod is ideal for light jigging or rigging and casting smaller crank baits. 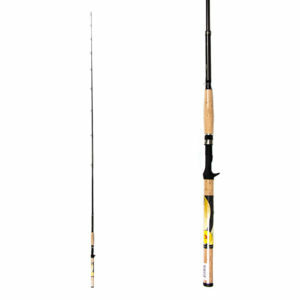 This rod performs best when paired with a light size reel. The fast tip action of is perfect for pitching shorelines. Use 4-10 lb. test line but not over 10 lb. Great for 1/16th oz. Northland™ Fire Ball Jigs tipped with a Shiner or half a crawler. Designed especially for pan fish like Crappies, Bluegill and Perch. Makes a great stream Trout rod. Use this rod with very lightweight jigs. It is great for pitching them over the weeds or on the edge of the weed line. This rod is also good with smaller slip bobbers. The light action is designed to detect subtle strikes. A very versatile rod. Use it for Walleye, Bass and more. Use with heavier 1/8-5/8 oz. jigs and a little heavier line. Ideal for 6lb. test lines for rigging and jigging. This rod can also be used for slip bobber fishing or pitching shallow and deep running crank baits and light plastic worms. 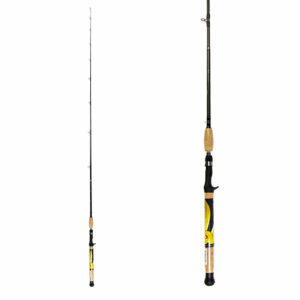 Same performance qualities as the 5’9” rod but in a longer length with a lighter tip. Great for fishing a 1/16th oz. jig with 6-8lb. line. Try a stand-up jig head with a minnow, leech, or half a crawler. When fish are lethargic it helps to hop the jig a couple of times, drag it, let it sit and then repeat. Many times you’ll get a bite when the bait is just sitting still. 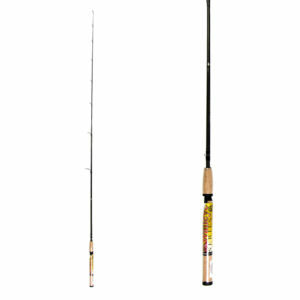 Great rod for lighter 3/4 to 1.75 oz. bottom bouncers and hands-on trolling. A very sensitive tip and parabolic action make it a great choice for three way rigs or egg sinker systems such as the Roach Sinkers. Its shorter length is a real benefit during windy conditions and helps control your casts. One of the top selling actions. Shorter version of the 7’ model. Great for deeper water rig fishing, casting crank baits and plastic worm fishing. Great for trolling with lighter Rock Runner bottom bouncers from ¼-1oz. Great for Roach Rigs and Rainbow Spinners. If you see fish higher on your sonar use a longer snell up to 9’ in length. Fish that are closer to the bottom use a shorter snell. Use a stop and go presentation. You’ll catch more fish. Excellent rod for “Roach Riggin”. Same great action and technique design as the MWS661MS in a two piece version. 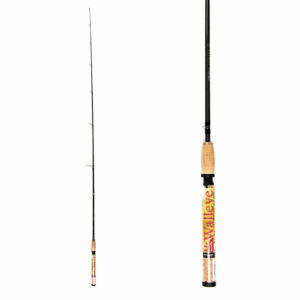 The rod for “Roach Riggin” or a good choice for bass fishing. Great for live bait rigs for walleye, bass and northern when using larger minnows, and Red Tails or creek chubs for the fall season bite. It can also be used for slip bobber fishing, jigging and using lighter bottom bouncers. Ideal for fishing deeper water. Use a small spinner harness with two small leeches hooked through the nose. This is a deadly combo. Fish both crawlers and leeches when the water temp is in the 50’s. Sometimes crawlers work better in water warmer. Slightly heavier action version of the 6’6” medium actions. Use in situations where a rod with more backbone is needed. 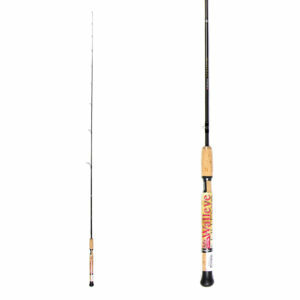 When fishing fall Walleye or Largemouth Bass this rod will help you when you have a heavier lure weight or you need something a little stiffer to pull through the water. Great rod for deep water rigging. 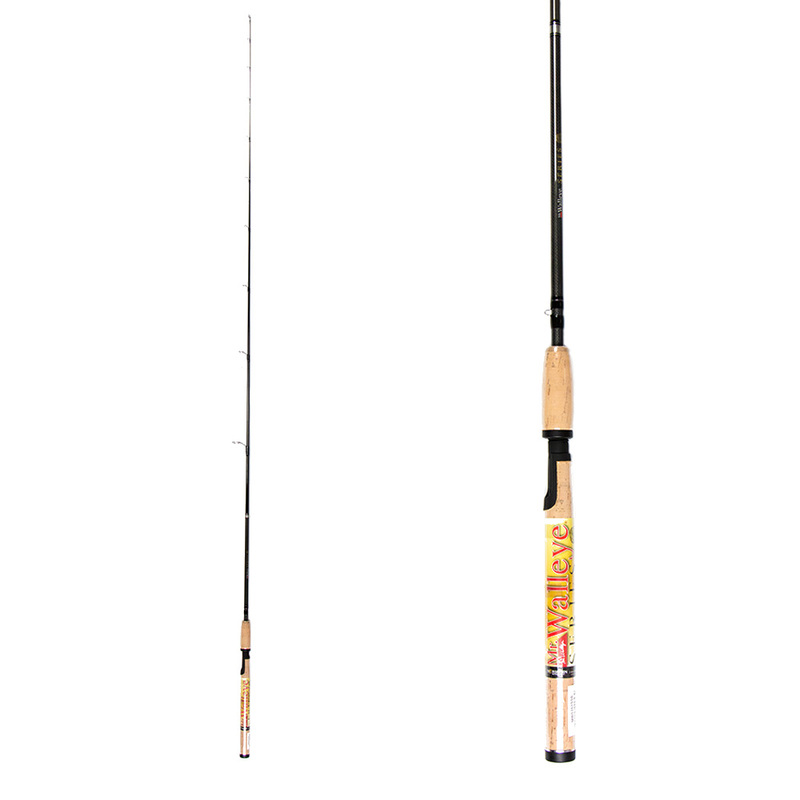 Ideal rod for bottom bouncing, trolling or casting crank baits for Walleye, Bass and more. A good rod for dead stick fishing from rod holders. Use two rods on the inside and two of the 8’6” rods on the outside. This is a perfect pair for trolling cranks and spinner harnesses. Great rod for light bucktails or for spooning pike and lake trout. Try using a silver or gold light spoon as an attractor 3’-4’ ahead of a spinner harness. Works great for Walleye on the Great Lakes. Rod also works great for heavier bottom bouncers and in-line sinkers. 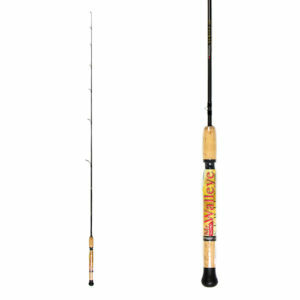 This is a “must have” rod for Crappies and Sunfish. Designed for longer casts with lighter lure weights. Ideal for light jigging, rigging, and even small cranks. One of the top sellers and is ideal for wider boats and spring Crappies. Ideal for fishing 1/8-1/4 oz. Northland® Roach Rigs® and light Rainbow Spinners. Great for casting shallow running cranks when the fish are on the shoreline. This rod does not lose many fish, it has a very forgiving tip. The #1 selling model. Great for deeper water rig fishing, casting crank baits, and plastic worm fishing. Great for trolling with lighter Rock Runner bottom bouncers from ½-1 oz. great for Roach Rigs® and rainbow spinners. If you see fish higher on the sonar use a longer snell up to a 9’ length. Fish that are closer to the bottom use shorter snells . Use a stop and go presentation. You’ll catch more fish. 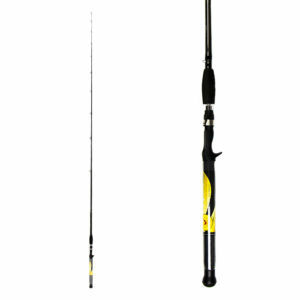 This rod is specifically designed for slip bobber fishing. If you fish slip bobbers this rod is a must. The #1 fishing tip for slip bobbers pertains to bobber size and shape. On windy days us smaller diameter bobbers that do not rock as much in the waves. When less windy use a fatter style bobber to get more action. This rod is also ideal for a harness riggin’ rod. The “planer board” rod! Designed for trolling with boards, heavy bottom bouncers, and big crank baits. Great rod for lighter lead core trolling crank baits and spinners. It’s telescopic design allows storage in any rod locker. It’s tough and will handle most freshwater fish. Great for Salmon fishing up in Alaska! A consistent sell-out. 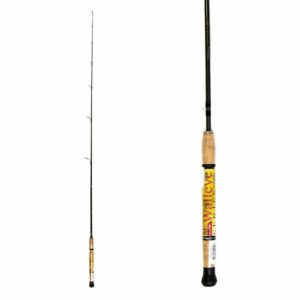 Lighter trolling rod designed for smaller planer boards with spinners and crank baits, either shallow or deep. It telescopes for easy storage to fit in rod lockers. Specialized action for light biters. Attach the sinker 10’ ahead of the crank bait or crawler harness. If trolling 30’ of water for suspended fish let out 45’ of line to the sinker. In deeper water, adjust accordingly in front of the harness to the deeper fish. If fish are up higher, adjust to lessen the weight. Watch your sonar to see where the fish are. Specially designed for lead core trolling. 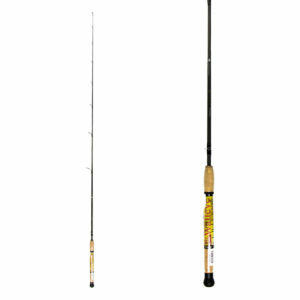 A great rod action for board trolling and straight lead line trolling. 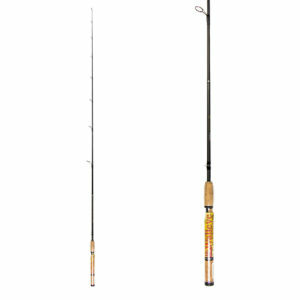 If you want to catch Walleye and other fish consistently pick up a set of our entire lead core trolling rods. Use with your favorite bait cast or line counter reels. Ideal for use with 18lb. lead line. Always tie on a 10-30’ monofilament leader. Tying the leader to the lead line is very important. Strip out 2” of the lead line. Remove the lead leaving the 2” of braided hollow outer line. Stick the end of your mono leader into where the lead woas, do two overhand knots and tighten them ver the lead line. This is the very best way we’ve seen to tie a leader to the lead line. Rod telescopes to fit in rod storage lockers.